Sometimes, as a musician, an artist comes along that not only changes the way you think about songwriting, but also how you write. When I was 17, and obsessed with Tori Amos and Sarah McLachlan, I came across a song by Sarah Slean as a free mp3 download on Amazon.com. This was a relatively new concept for me, and as a broke teenager sans credit card, I was eager to find and download anything I could find for free. Oh the internet. You beauty. The song was Twin Moon, an sweet and slightly haunting tune, which piqued my interest enough to find her most recent album Night Bugs, which honestly blew my mind a little bit. It was incredibly well-written, heart-infused pop/rock (I never know how to categorise music like this, Wikipedia thinks she’s “adult alternative”) with piano and strings and horns and edge and bounce and and and. I just loved it. Soaked it in like a sponge. It made me change my ideas about what and how I wanted to write. Music didn’t need to sound all the same, or super radio friendly, but could sound like a musical, like a music hall performer, like a dream. My favourite songs from that album were the super dramatic Duncan with its swelling, addictive chorus, the poppy and fresh Sweet Ones, and the plaintive and haunting Book Smart, Street Stupid. I wanted to just sit down and write every time I heard the album. Sarah’s next album Day One included the gem The Score, which I played over and over and over and over until my mother asked me to please play something else. Her following albums have only gone from strength to strength, with The Baroness (listen to Get Home, it’ll break your heart) and then the most recent Land & Sea, a double album of pure beauty. I knew that she played regular shows in her native Canada, and as a teenager I day-dreamed about travelling there and making sure to include one of her concerts. Like many of my top inspirations when growing up, I never dreamed of actually seeing her in New Zealand, and knew that one day when I was able to, I’d finally see her live and probably weep endlessly. 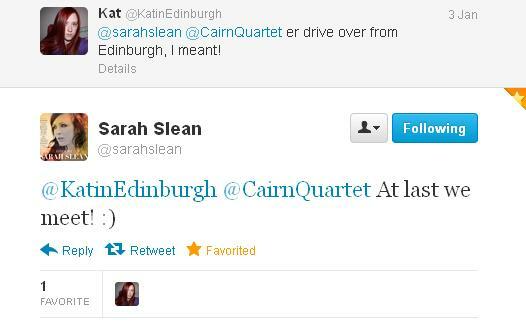 Once I moved to Edinburgh, I started keeping a close eye on any European tour dates for many of my favourite musicians, and definitely for Sarah Slean as well. 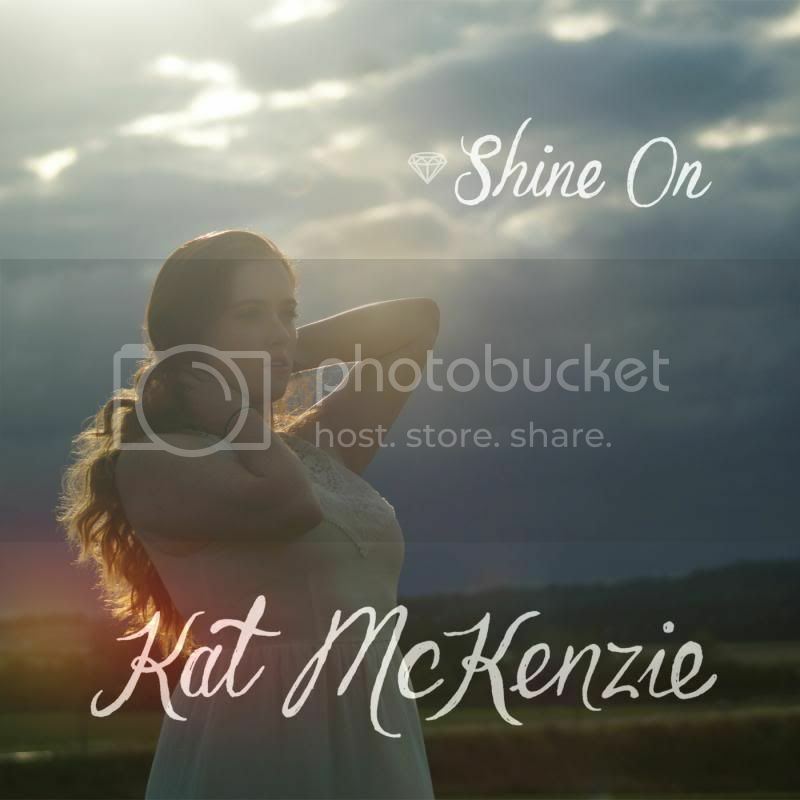 She is adorably attentive to her Twitter fanbase, and has replied to my tweets a few times in the last few years, including one I sent her about my song Bliss, which was definitely musically-inspired by her earlier work. She was also here recently for TED, which I could not afford to attend, and she unfortunately didn’t perform elsewhere while she was in town. I immediately went online and bought tickets and checked the calendar to make sure Dave could come. £9 a ticket! A travesty. It was such an exciting moment. What an important gig, not to be missed. I must admit, I squealed a little bit. Gosh, that’s exciting. I know I’m a geeky stalker, but it’s lovely to be noticed by someone you admire so much. So now. Now now now! I can hardly contain my excitement. 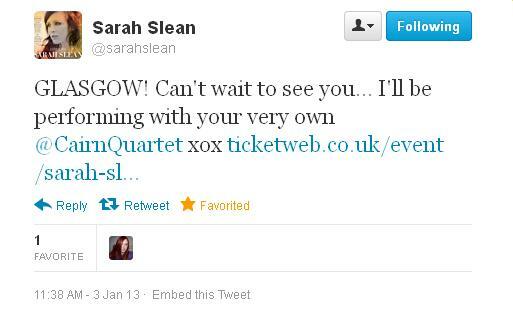 After nearly 12 years of love, I am GOING TO SEE SARAH SLEAN TOMORROW NIGHT! And I will weep. Weep endlessly like a baby. I Have Learned: Winter edition. Yay! Enjoy the show! I am sure it will be amazing. I am in the same boat as you; a European fan with scant opportunity to see her live (I did manage to see her twice, though with an eight year wait between them, and always as opening act). I’m very very excited to see Ms Slean play a headlining show next week here in the Netherlands! 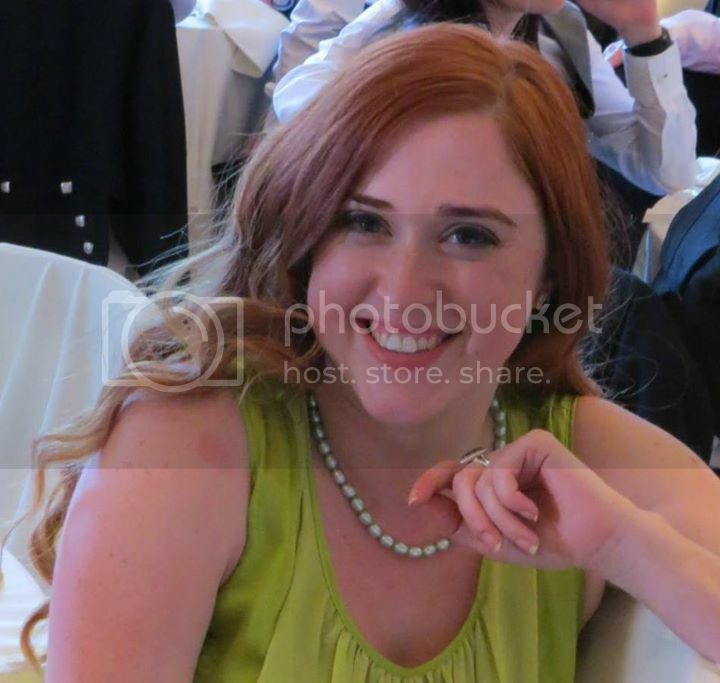 That’s so exciting Lydia! I’m so pleased for you too. Aren’t we lucky!